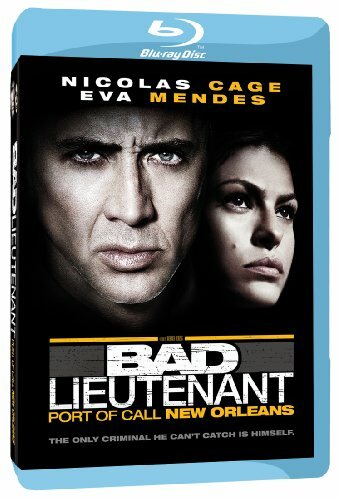 Bad Lieutenant- Port of Call New Orleans: Werner Herzog's batshit crazy cop thriller is darkly funny, strangely intoxicating, and just plan weird--no small thanks to Nicolas Cage, doing the kind of hot-wired performance that reminds us why we all used to like Nicolas Cage. The Natural (Blu-ray): I'd honestly forgotten, until I saw it again on Blu for this review, how much I genuinely loved Barry Levinson's 1984 baseball picture. I know, purists, I know, they changed the ending and negated the entire point, etc. Still-- movie pretty!